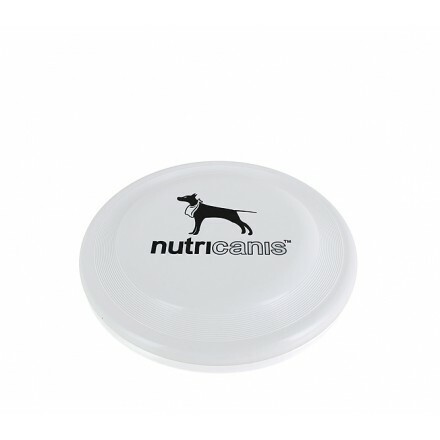 120g dog disc (Fastback) with excellent throwing characteristics for professional dog disc players. 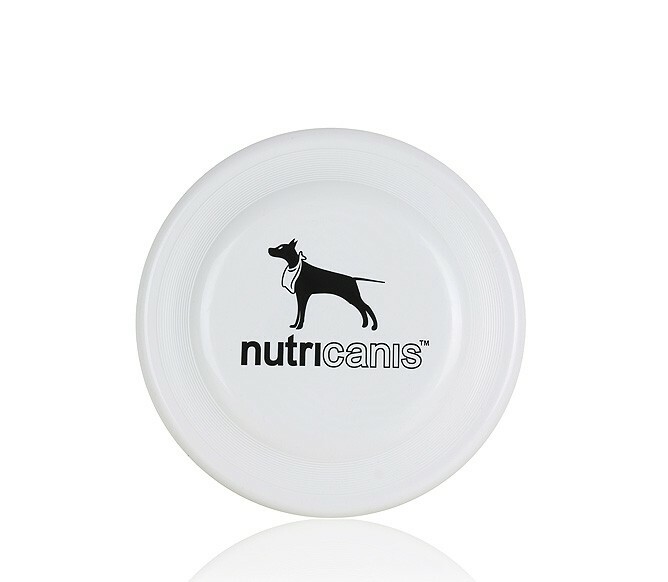 Our 120g dog disc with high quality Nutricanis hot stamping is identical to the discs used in dog disc competitions and is therefore ideal for training professional and advanced dog disc players. The dog disc is perfect for freestyle, mini distance and long distance events. It is made of flexible, soft plastic and is extremely shatterproof to prevent injury when catching the disc. The professional dog disc has a raised centre, known as the "dome", which has a stabilizing effect on the disc's flight characteristics. 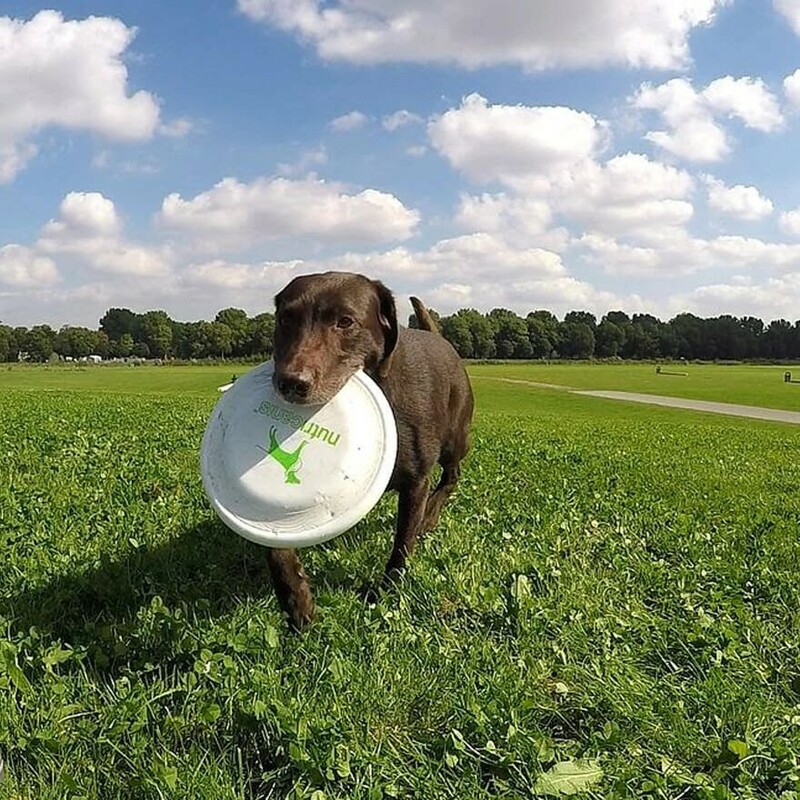 Therefore, it remains in the air longer than other discs and has a longer flight time that makes it easier for the dog to "read" its flight path. 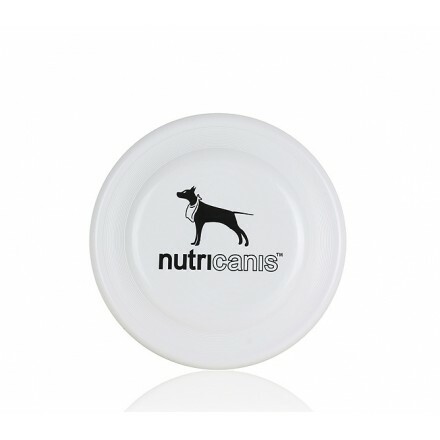 We do not used embossing on our dog discs since it causes pronounced irregularities on the underside, which can adversely affect the flight of the disc. The stable trajectory of the disc means that controlled throws over long distances are no problem. 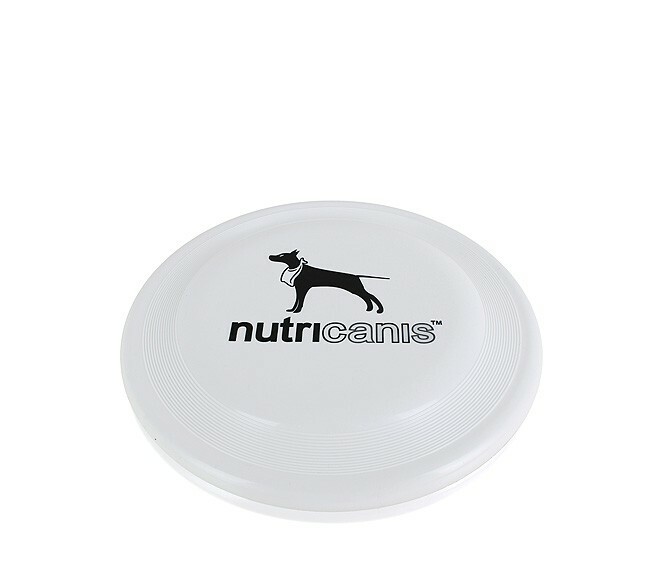 This dog disc is perfect for dogs that have already learned to catch the disc without biting into it too hard. For beginners we recommend our bite resistant disc dog Frisbees made from softer material. Although these are slightly more expensive, their longer durability means that they are the best choice for beginners. Caution: Not a chew toy! Crunchy dog snacks with 98% duck meat. The grain-free/cereal-free alternative for chewing and as a treat: with 97% of the best turkey meat and high-quality ingredients.